A collaborative effort between the founders of the seminal electro label Raster Noton, Alva Noto and Bytone was always going to yield interesting results, but Diamond Version's sleazy electro may still take many by storm. Blending minimalistic edm and techno the sound is as intelligent as it is accessible. 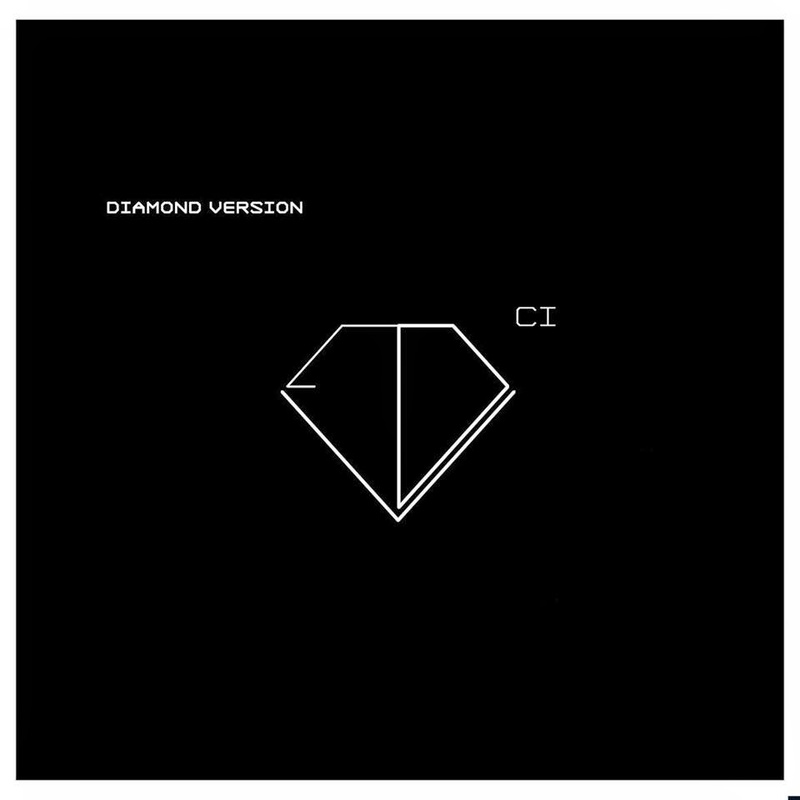 The duo's début album 'CI' (Corporate Identity), follows on from a series of five 12″ singles that have been previously released on Mute records. Despite Olaf Bender and Carsten Nicolai founding Raster Noton in 1996, it wasn’t until they formed Diamond Version that they would collaborate together musically. Yes there is still that ever-resent sense of avant post-techno that the duo and their label are known for, but it has a fundamental melodic subtlety to it that traces its lineage back to the likes of The Normal and the bands of the late 70's synthpop underground. Throw in some excellent guest vocalists such as Leslie Winer, Kyoka, and Neil Tennant on the songs 'The Blank Action', 'Feel The Freedom', and 'Were You There?' to break up the industrial-influenced instrumentals and you have a very diverse and gratifying release. The album seems to pull influences from every direction, stripping them down and giving them a typically Raster Noton repackaging. The end result is something that encompasses the lineage of electronic music in a very 21st century way. The production is typically slick and minimal sitting somewhere between the style of Kraftwerk and Aphex Twin. It's a clean and no-frills approach that really compliments the various styles at work on the album without dulling their edges. This is a release that due in particular to the vocal collaborations will expose this release beyond the typical avant garde audience of its creators. It's a release that on one hand is beard-strokingly experimental and yet on the other is surprisingly accessible. Hopefully this won't be the only full-length release from the duo and they'll continue to explore new and interesting directions.